Add the oil to a hot pan and then add in the garlic. Let the garlic cook until you can smell it. Then add the rice and stir to coat each grain with the oil. Add in a 1/4 cup of the stock and stir. Continue to stir the rice, adding in the remaining stock in 2 oz intervals. Only add the next addition after the previous has been absorbed by the rice. 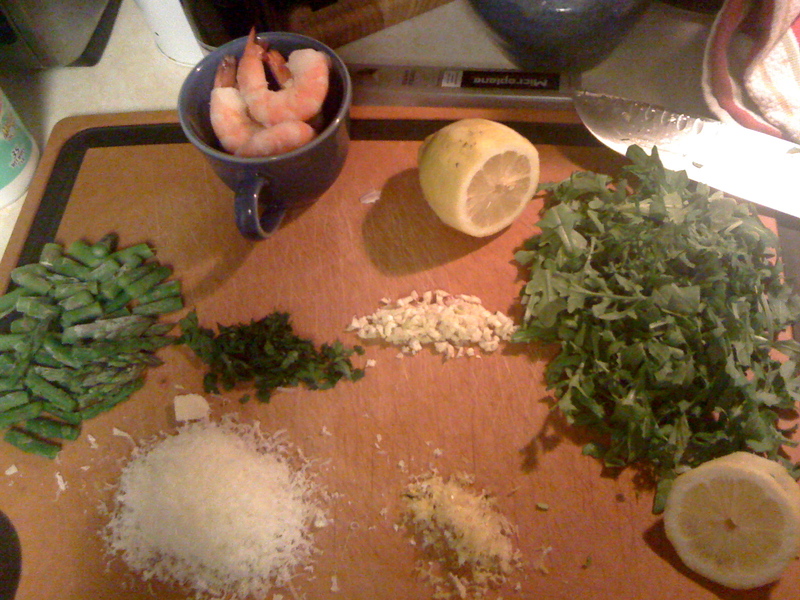 When the rice is tender and there is no more stock remaining, add in the greens, lemon zest and juice. Stir to combine. 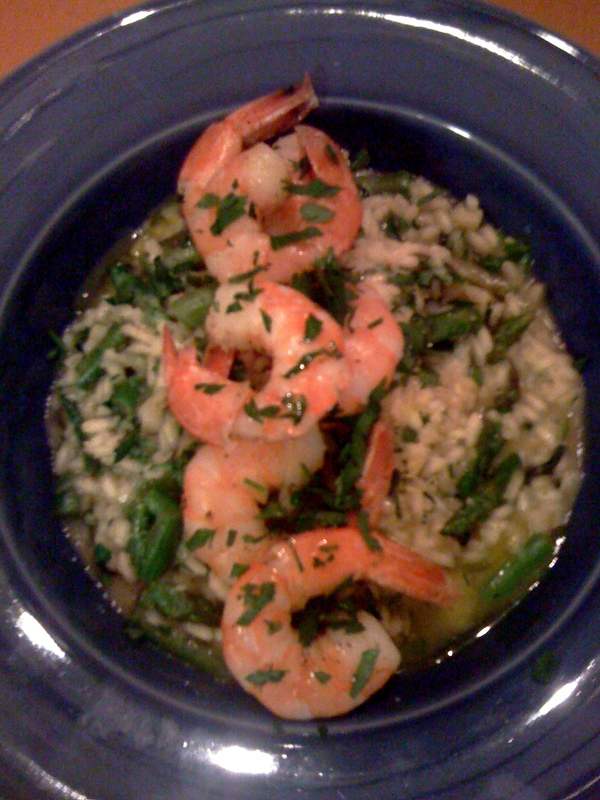 Plate according to the picture and garnish with chopped parsley.